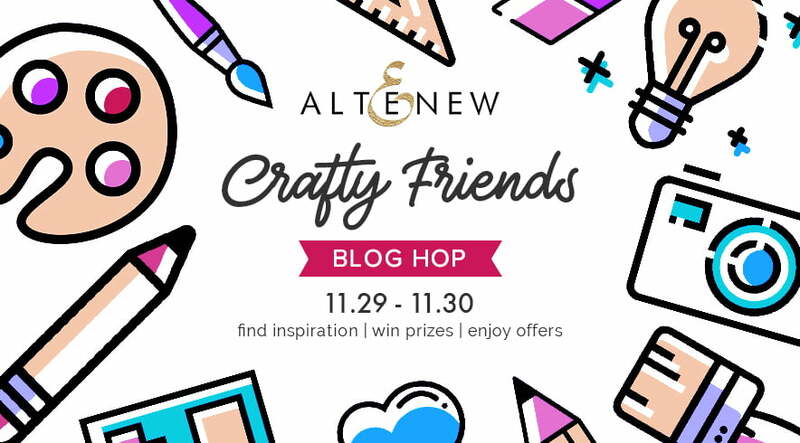 Hello crafty friends, Latisha Yoast here and I am so excited for you all to join us in the Altenew Crafty Friends Blog Hop. If you came from Anna Komenda’s Blog, you are in the right place! Be sure to read to the bottom for your opportunity to win 37 different prizes too! The very first time that I made a card (for real) with proper cardstock and stamps was in 2001! My husband was about to go on his very first deployment, our daughter was 5, and our son was just a baby so we were a very young family. At the time the only place to get a nice card was at the Hallmark store, and the number of cards I needed to send him off with… well, buying them was out of the question because we didn’t have that kind of money. So, I was at a new friend’s house, and she had all of these stamps and ink pads. I had no idea what I was doing but the thought of putting love into a card to bring someone joy made me absolutely giddy. I still feel that way every time I sit down and make a card. If someone would have told me back then, that one day I would work for craft companies and magazines, I would have laughed. But here we are 17 years later, I still love getting my fingers inky, and I love all of the wonderful people I get to call friends in this community and especially this magazine! Cardmakers truly are very special people and some of the nicest I have ever met. Today I am sharing a few Christmas cards, both using the Festive Poinsettia Stamp set from Altenew. It is always fun to use the same stamp in different ways! For this card, the poinsettia was stamped in a light yellow ink onto watercolor paper, then watercolored. Once dry the poinsettias were carefully cut out with scissors and popped up with foam tape to create lovely dimension. This card is similar in that the images were watercoloured, but the poinsettia was stamped many times onto a panel to create the illusion of a bigger stamp! Your next stop along the way is Kymona Tracey. If you get lost along the way, here is the complete list of blogs participating. 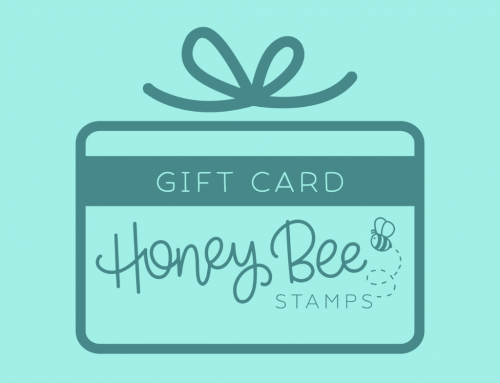 Be sure to leave comments by Sunday, December 9th, 2018 for a chance to win! 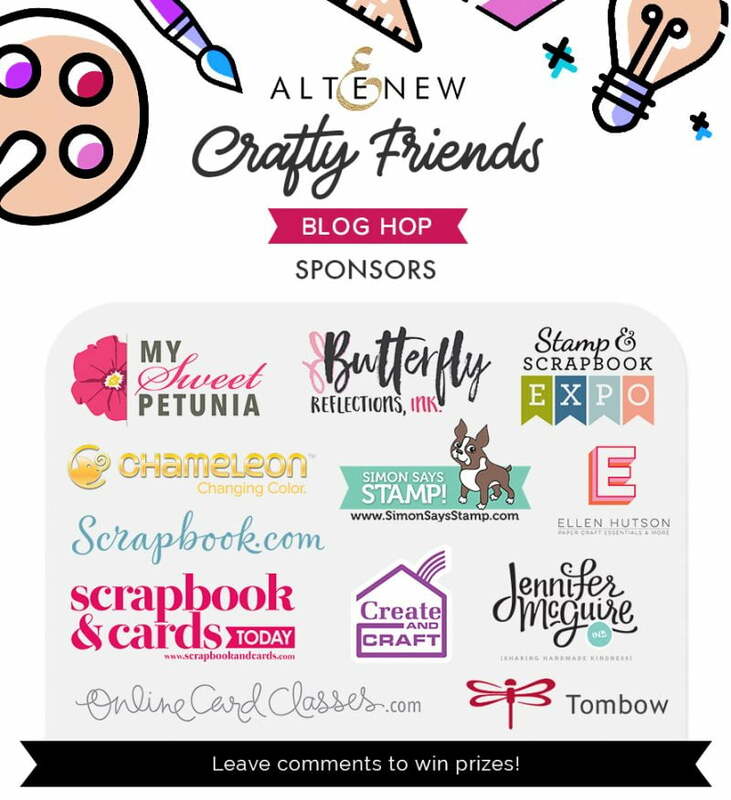 37 winners will be chosen at random from the comments left on all of these blogs listed above and will be announced on the Altenew Card Blog and Altenew Scrapbook Blog on December 15th, 2018. The winner of the bonus $20 gift certificate will be announced on the 9th right here too! One more bonus! Altenew has FREE U.S. shipping with code CRAFTY18 or $5 OFF international shipping with code FRIENDS18 at checkout. Offer valid from 11/29/2018 at 12:01 am EST through 12/1/2018 at 11:59 pm EST. Not valid on prior purchases. Cannot be combined with other promo codes. 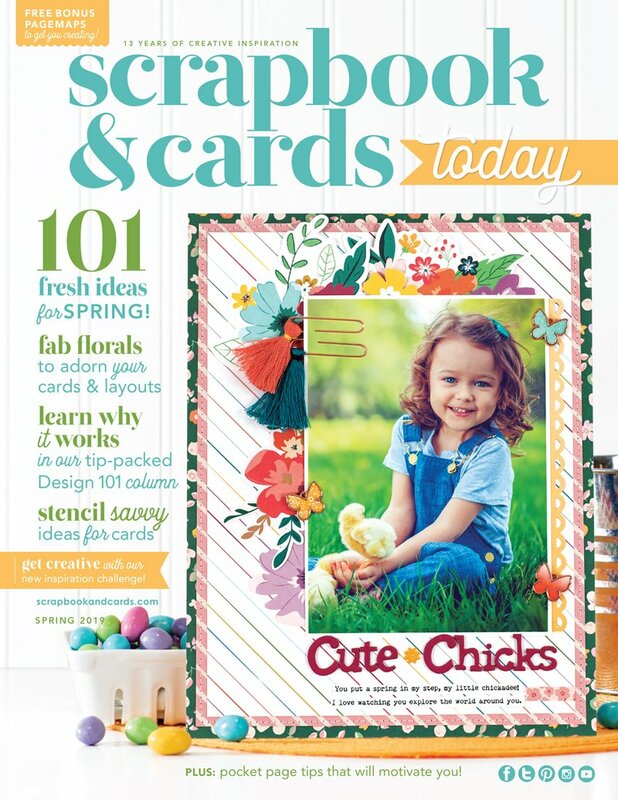 A big thank you to our friends at Altenew for asking us to be a part of this fun Crafty Friends blog hop! Good luck and happy hopping! Love these cards! They are so vibrant and full of Christmas! These cards are GORGEOUS!!! My favourite holiday tradition is celebrating each day leading up to Christmas and documenting our activities (December Daily). These cards are just stunning. The delicate colors are so beautiful. My favorite holiday tradition is decorating cookies with my mom. I remember my excitement as a child when my mom would put the frosting on the cookies and my brother and I would pour (a few too many) sprinkles on top. Now that I am older, both my mom and I put the frosting on the cookies while my son and daughter pour (a few too many) sprinkles on top. It is one of the best times of the year! lovely cards – my fav tradition is watching a holiday movie on Christmas Eve with my kids!! We have so many traditions it is hard to pick a favorite! We hunt for the perfect tree to cut down, I give the kids a dated ornament each year, we frost sugar cookies, have lottery tickets in the stockings but my favorite has to be photos with Santa. I even bought a Santa suit so we could do them at home as my kids got too old to do this in public:):) Thank you for the opportunity!! Lovely poinsettias. Our traditions are changing with my children growing up and moving away (far away) from home. Not sure what traditions will carry on…but baking cookies probably will. Wow – How realistic are those poinsettias!! 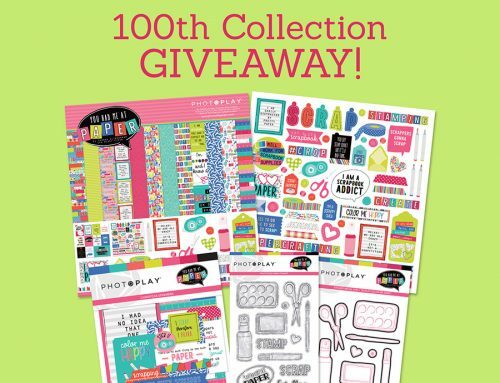 What a fabulous giveaway and all these projects are amazing! Beautiful cards with lovely coloring!! The flowers are so pretty 🙂 We don’t have any specific holiday tradition..
Lovely cards! The colouring is gorgeous! My favourite holiday tradition is having a seafood dinner on Christmas Eve and opening our gifts after dinner. I am in LOVE with Latisha’s poinsettia cards. I want to make them myself!!! Our favorite Christmas tradition was my parent’s annual Open House after the community Christmas tree in our small town. We sang carols around the tree in our safe little town, Santa arrived on our antique fire truck, and then everyone came back to feast on food the wonderful cooks prepared. It was truly a wonderful memory! Mother always decorated with poinsettias so these cards spell happiness, safety, security, and lots of Christmas LOVE! Beautiful!I love the December to remember! Time spent with family is what makes our holiday so special and definitely the best memories! Lovely cards! Favorite tradition is making an ornament for each of my girls. It has been a great way to try out new mediums. Beautifully crafted cards, love all the inspiration! I love these beautifully detailed cards. They are both just stunning. Love these cards…tfs. My favorite tradition is baking cookies for my company cookie exchange…so much fun! Beautiful card. Thanks for sharing your story. Love both cards, so christmasy! The one of the importante tradition is to get All the family together! Big table a lots of food, everyone is laughing. Warm and cozy atmosphere. Both beautiful cards – but I especially love the brighter, bolder one – it is so incredibly festive and gorgeous! My favorite holiday tradition is getting together with my family (all the aunts, uncles, cousins, my grandfather, etc, and celebrating on Christmas day! We’ve been doing this my whole life and I can’t imagine any other way to spend Christmas! Wow”! Those cards are gorgeous. Altenew has the best flowers. My favourite holiday tradition is lighting the candles every night for eight days. WOW ! how fabulous ! The artist talent shows through these cards simply beautiful ! I like the soft blue background. Beautiful cards, they just pop! There is something special about stamped cards and filled in with watercolor. They always look so real. These ones are especially beautiful! Love these beautiful and festive cards! Gorgeous poinsettias! Love these cards. I have this set and have been playing with it a lot!! 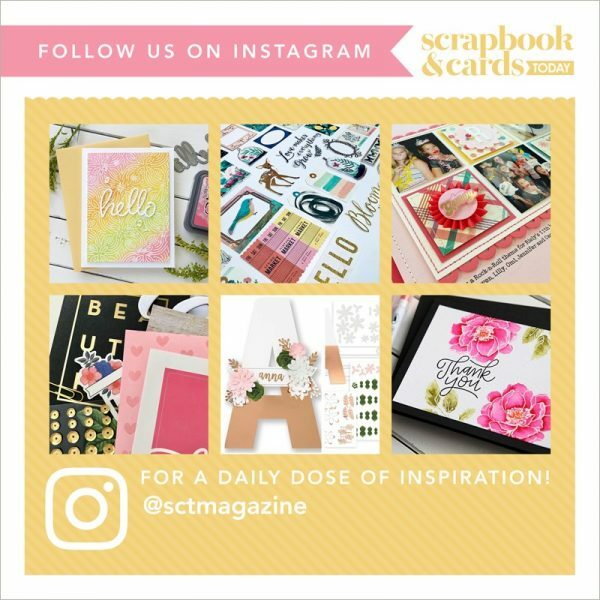 Beautiful cards – love the bow! These cards are spectacular! I have to play with those!! I can’t imagine a more, Christmas cards, making them from hand! Beautiful cards! I love the dimensional one, where the poinsettias pop off the page. My favorite holiday tradition is taking time off during the holidays to spend time with family. We can just sit around in our pajamas and watch movies (which actually, is one of my favorite things to do! ), or we can get dressed up and go to a holiday event…it doesn’t really matter, because we’ve got time off to relax, laugh, and enjoy each other’s company. Good stuff for the holidays! I love our Elf on a shelf. We have two, a girl elf for our daughter and a boy elf for our son. My kids love looking for their elves every morning. Our elves are in many of our Christmas photos and scrapped in my December Daily. Oh, Latisha! These poinsettias jump off the front if these cards in their realness and gorgeousness! I would have loved to see you watercolor these in a video. Don’t you just love Altenew goodies?! Both cards are stunning!! Thank you for sharing. My favourite tradition is doing the Christmas baking because when all is said and done, I arrange platters for several people, my mom first and foremost. I remember baking with my mom as a youngster, it carries many memories for me. Beautiful cards, I love the poinsettia stamp. My favorite holiday tradition is Christmas eve reading the Polar Express in NEW pajamas… yes, even as adults! Beautiful cards. Always nice to see new ideas. Love the Christmas season. Beautiful cards! We play “minute to win it” games every year and it’s just the best tradition. Lots of laughter! My favorite Holiday tradition is when my husband reads Twas The Night Before Christmas to our family even if the kids are growing up and grown up. I can’t decide which card I love more. The vivid red is striking and the lighter card is so realistic. I am just going to love them both the same! Amazing cards and fantastic winnings. My favorite holiday tradition is going out to cut down the tree, having a whiner and marshmallow roast along with a bonfire and some sliding, finished off with dragging the trees onto the back of the trucks. Sometimes they fall out 3 or 4 times on the way home. Lovely cards!! One of our traditions is going on holiday light tours! 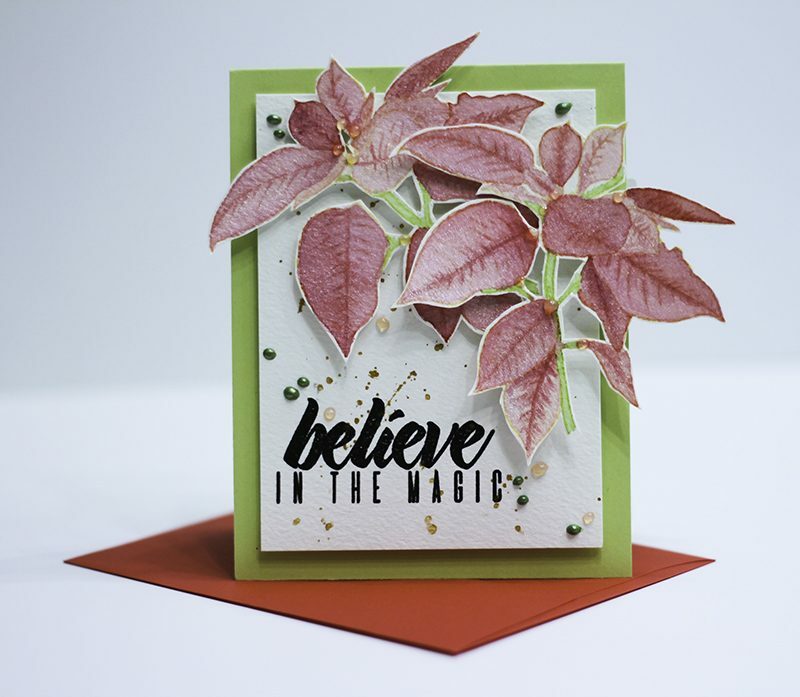 Beautiful poinsettia cards and thanks for sharing how you started card making. Favorite holiday tradition is a birthday party for Jesus. There’s something just so pretty about a poinsettia and these cards showcasing them are marvelous! Stunning cards! Gorgeous colors and watercoloring. I have many favorite traditions during the holidays but I think my favorite is cookie day. My extended family gets together to make Christmas cookies, this was my niece’s first year making her own cookie so that made 8 of us baking and lots of testers. These cards are absolutely lovely. I have 2 favorite Christmas traditions; the first is baking and decorating cookies for Santa and the family on Christmas Eve followed by our Christmas Eve Candlelight Service at church that night. How I wish poinsettias weren’t strictly associated with Christmas as they are one of my favourite flowers/plants. Beautiful cards. My favorite holiday tradition is decorating the Christmas tree while listening to Christmas music. It is fun to see all the colors you used to make each poinsettia card look different. When I lived in CA, poinsettias grew like weeds in our yard, & your cards remind me of them. Lovely. Cards are so beautiful. I love Christmas and all the creations that I see others making. Stunning cards. The way your colored the poinsettias makes them look so realistic and pop right off the page. Thanks for sharing your beautiful creation. Lovely cards! I also loved to read your story. It is cool how life surprises sometimes. Hoping to win in this giveaway. There are such great companies in the craft world. 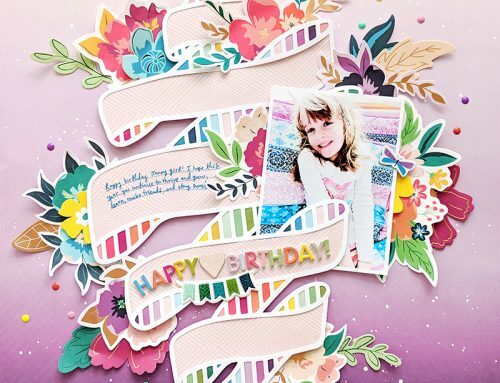 Such beautiful cards – your fussy cutting is amazing! My favourite tradition is pudding with custard and ice cream after Christmas dinner at my in-laws, never mind how hot it is! Love the dimension. 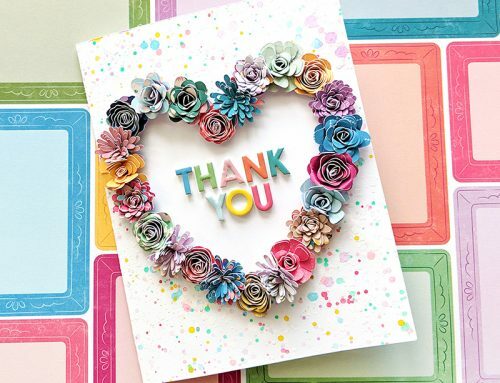 Beautiful cards – thank you so much for the inspiration. Wow, these are gorgeous cards, I especially like the poinsettia card with the blue background, what a stunner. No tree this year, just lots of making little prizes for the people who bless us all year. The little one that stays in our home for 2 days a week would love to help tear down the tree so he’ll get a wrapped box with a manger scene on top that is age appropriate and we’ll have a blast together. Altenew cards with poinsettia are just darling! Beautiful cards! Decorating the tree with decorations that came from special people over the years is something I look forward to every year. Being with friends and family over the holiday season. I am continually amazed at how wonderful this crafty community is, crossing even international barriers, and this blog hop is such a lovely way to celebrate this. These are really beautiful cards! Love how realistic your poinsettias look!! Beautiful cards!! I love poinsettias! Thank you for sharing and inspiring!! Love these watercolored poinsettia cards! These are so beautiful, I am especially loving the second one- such a unique design, and it’s truly gorgeous! I am in love with it! Thanks so much for your fabulous inspiration! Very pretty Christmas Cards, I would be overjoyed to receive one. Beautifully done! Both of these cards are lovely but I would have to say Red December is my favorite. Beautiful cards. Favorite tradition would be spending quality time with the Family. Beautiful cards!!! My favorite tradition is listening to Christmas music from all genres through out the month. I love these cards! Poinsettia stamps are beautiful and lovely for Christmas cards! Love this product and my favorite holiday pastime is baking Christmas goodies for the season and trimming the tree and making homemade Christmas cards and tags for the season! Thanks for the generous giveaways, hope I win one! Gorgeous cards. I really do have to get my hands on the poinsettia stamp set. I love the extra little embellishments that you added. Your cards are stunning! I love your coloring! Great cards Latisha, I love that you used the same stamp twice. Always curious to see how that turns out without copying your first one, you did a awesome job. Loved your story and I also have inky fingers after so many years of crafting, don’t think that will pass. Thank so much for your awesome post. Your cards are gorgeous! The watercoloring on the poinsettias is so lovely and detailed. What a wonderful crafty journey you’ve had! My favorite holiday tradition is wrapping the gifts. I’ve always loved pretty paper! Your story was just wonderful. Thanks to you, your husband and your family for his service. Your cards……now those are just beautiful. Those poinsettias are amazing! Thanks for sharing your artwork and your story. The cards are so gorgeous! Thanks for the chance to win! Lovely cards. My favorite holiday tradition is making cut out cookies with my kids and now grandkids. 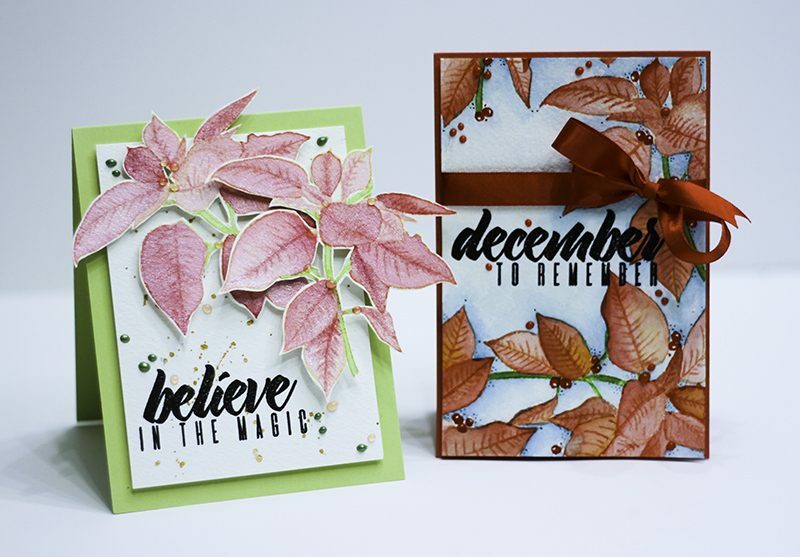 two gorgeous cards with that beautiful poinsettia – love them both! My favorite holiday tradition is playing games. We aren’t always ‘nice’ but we have fun. Beautiful poinsettia cards, lovely water coloring too. Love your beginning stamping story: I started making cards to save money too. My favorite holiday tradition is our traditional Polish Christmas Eve dinner with 7 non-meat dishes. Beautiful cards. Love how the pink flowers just jump off the page. Thanks for sharing. I’ve had many Christmas traditions over the years and some have changed as my family grew and circumstances changed. We still celebrate together every year and some traditions are the same. I have created my Christmas cards for many years and that tradition still stands. Both of the poinsettia cards are gorgeous! I LOVE, LOVE, LOVE your color combinations with the Festive Poinsettia Stamp!!! The layout is gorgeous, colors are beautiful. Both cards are perfect. Our family tradition since we have a moderately large family, is that we rotate Thanksgiving, Christmas Eve and Christmas Day every year, so that we can celebrate with all of them. We have so many places to go, and we had to come up with a tradition that gives equal time to all. Its a bit of a job keeping track of it all, but it is well worth it because we’ll always have the memories. TFS–Have a very blessed holiday season! Beautiful cards! I love so many things about the holidays, but one of my favorites is baking gingerbread cookies! It’s not something that I grew up doing, but I have so much fun with my daughter and her friends. Love both cards. The colours are very beautiful. My favourite holiday tradition is that we always go out for dinner with the kids to a special place every year. It is fun deciding where to go every year. My favorite holiday tradition is St. Nick’s day which Dec. 5th. Our stockings get hung the night before and St. Nick will gill them with nuts, fruit, and a very small gift. I kept the tradition going with my family, and then Grandons. And still do it today even though my a Grandsons are 21 and 24 (they live with me). my favourite holiday tradition is to attend christmas service with my family and singing christmas carols. Awesome cards with such beautiful colors. I love how big and pretty the pinsettoas look. Wow, beautiful cards, great inspiration! Beautiful cards! I love the watercoloring on these! I love the style of the cards and the simplicity of each look. Yet detailed in the prettiest of ways. thank you for sharing. Wow! These cards are stunning. I’ve always had an affinity towards poinsettias, but I love the different colors of the ones you put on these cards. My favorite holiday tradition is going to pick out a Christmas tree with my family on the Friday after Thanksgiving (it’s usually the only Black Friday shopping I do!) I love that it keeps us focused on family on such a commercialized day. My favorite holiday tradition is making a hearty breakfast spread for my family on Christmas morning! 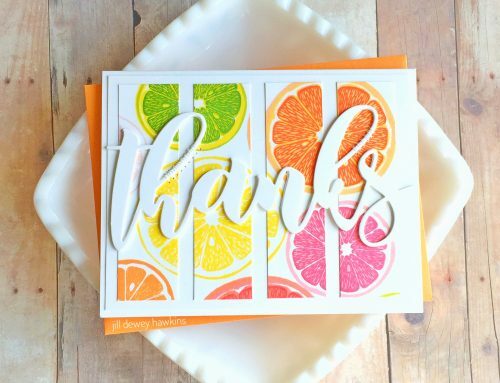 So fun to find out how other people started their stamping journey – loved to read yours Latisha. And the cards are awesome too! Beautiful cards! Lucky lady to have such a fun job, making cards! Beautiful cards! I love the light blue background with the bright red poinsettia’s! My favorite holiday tradition is just being with family. Wow, those are some gorgeous poinsettias! Gorgeous cards using one of my stamp sets. One of our favorite traditions is getting in the car on Christmas Eve and riding around to see everyone’s Christmas lights. We also ride over to Jekyll Island GA and enjoy their lights as well. Lovely to see different styles with the same stamp set, they are both beautiful and festive. We don’t follow too many traditions, but every year my daughters and I make an over-the-top Shepherd’s Pie on Christmas Day. I love learning how others got involved in crafting, thanks for sharing your story. Both cards are gorgeous, love your coloring. My favorite Christmas tradition is still going the the late candle light service on Christmas Eve. All the hustle and bustle slips away and even though I cry through Silent Night I am at my most peaceful and calm. The church is lit with candles and red poinsettias so I love the idea of sharing the beautiful cards you displayed. So Pretty! 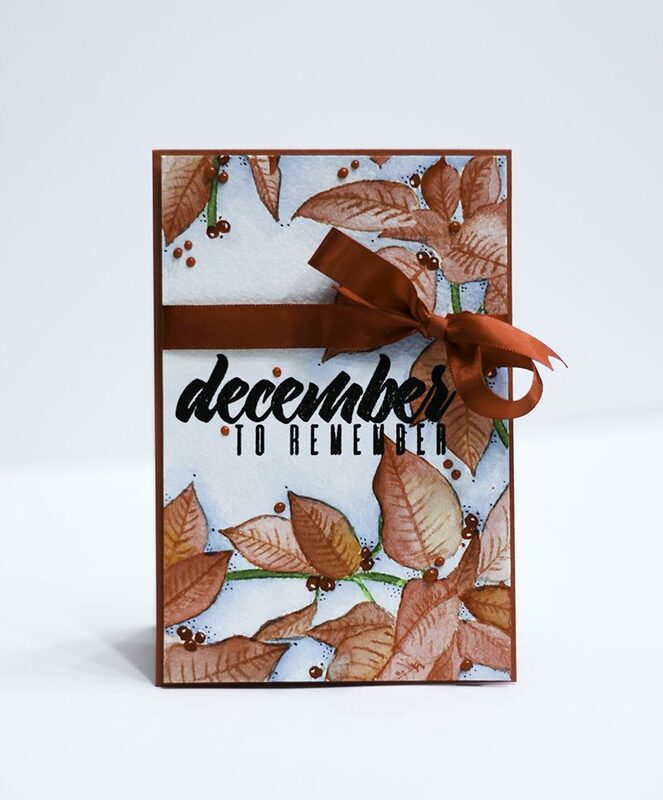 GORGEOUS Poinsettia cards, I love your watercoloring and the layout designs! Those cards ae fantastic. The Poinsettia look real. thanks for sharing the beautiful poinsettia cards! What beautiful poinsettia leaves on both!! My favorite tradition is actually for my parents’ anniversary we get together as a family and enjoy a steak meal and family time. Beautiful cards! I absolutely love Altenew! They’re one of my favourite stamp companies. I just can’t get enough of their beautiful flowers. Gorgeous cards and a fun and festive hop!! So so pretty! Thanks for sharing. Lovely cards! Christmas caroling with the family was always lots of fun.